When I was a child, I loved the woodlice that I found in our tiny backyard. They seemed so inoffensive as they bumbled around, oblivious to the entranced infant crouched above them. I adored them so much that I dug a pit for them with my toy spade. When it was a crater eighteen inches deep, it was ready to be populated. 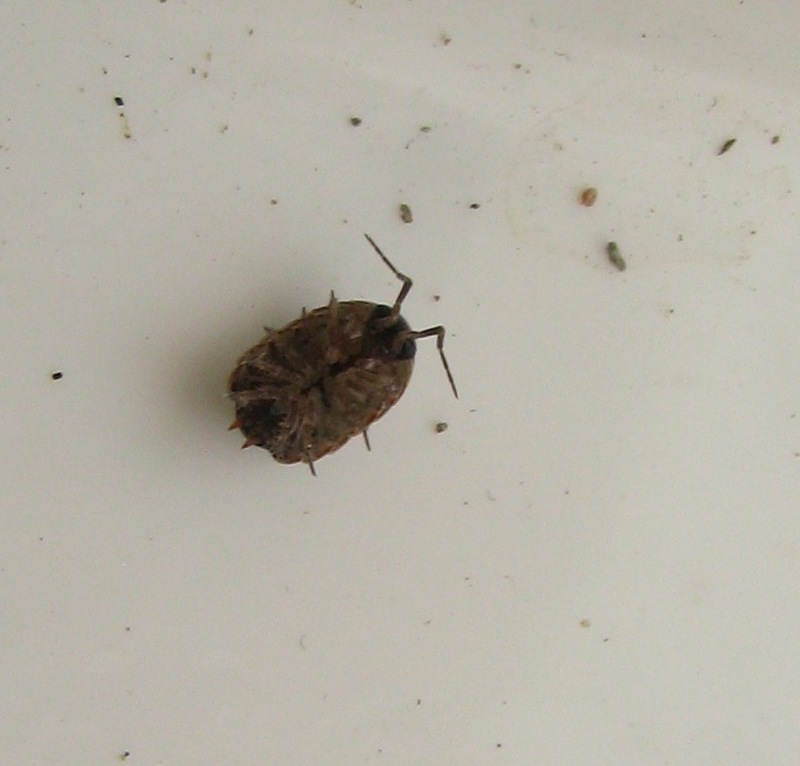 I gently dropped any woodlouse unfortunate enough to be passing by into it. Surely they would be happy with such five-star accommodation? Every morning, I checked the pit, and every morning it was empty. Woodlice do like dark conditions, but they also like to be tightly enclosed, and the vast empty plains of my pit must have filled them with agrophobia. In my disappointment, I took to keeping a little aggregation of woodlice under my bed in a sandwich box. I chose to keep quiet when they also escaped from this prison. If my mother is reading this, sorry mum. 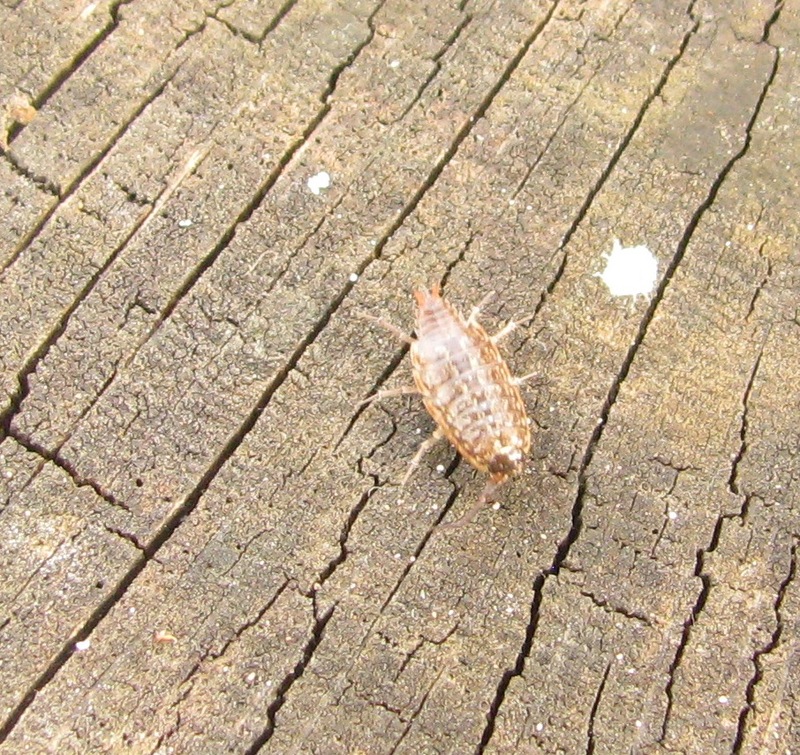 In order to grow, woodlice have to shed their hard outer skin. 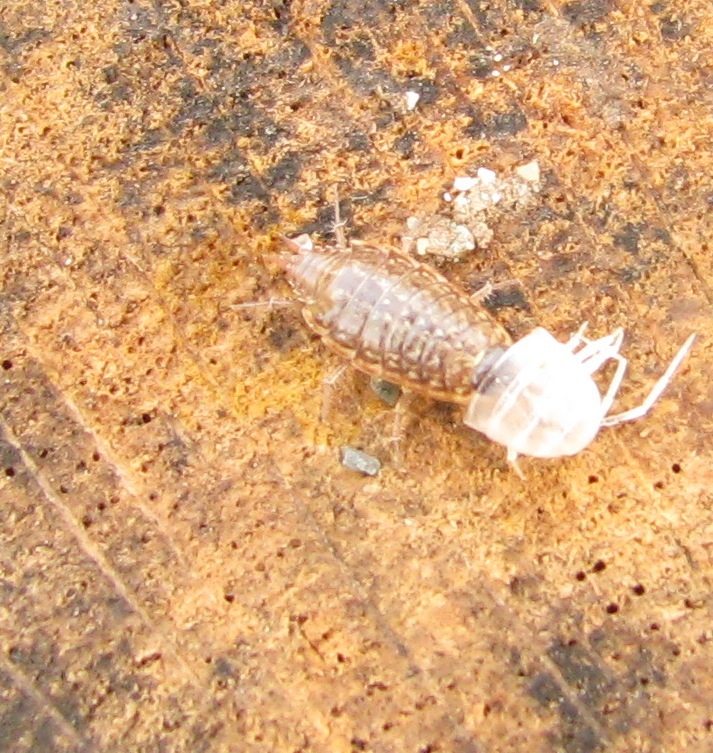 This Pygmy Woodlouse has lost the rear part of its old skin, but is still stuck in the head end. I can’t help thinking that this is something of a design flaw: while all the other woodlice are making excellent speed and running away, this one is left , no doubt confused about why it was suddenly so light. Woodlice can roll themselves up, sometimes completely, sometimes in this kind of half-hearted fashion, according to species. This is one reason that they are sometimes called ‘Pillbugs’. To the Medieval mind, the sight of a woodlouse curled up into a pill-shape could mean only one thing – they were meant to be used as pills, for medicinal purposes. Furthermore, because a large infestation of woodlice in a confined space smells of urine, they were soon being prescribed for all manner of kidney and bladder problems. Many apothecaries would have had a jar of dried-up woodlice, collected by a ‘chisleps’ gatherer, who made a living from turning over stones and collecting woodlice. I imagine the delight of the patient, as he is told to take ‘three ounces of woodlice, one pint of fennel water and half a pint of horsradish water, bruise the woodlice, add to the fluid and press out the liquor’. This was said to be an ‘excellent diuretic, sweetener and cleanser of the blood’. I imagine that it required a stomach of steel. Finally, the Pygmy Woodlouse wriggles free, and heads at speed for the darkness. 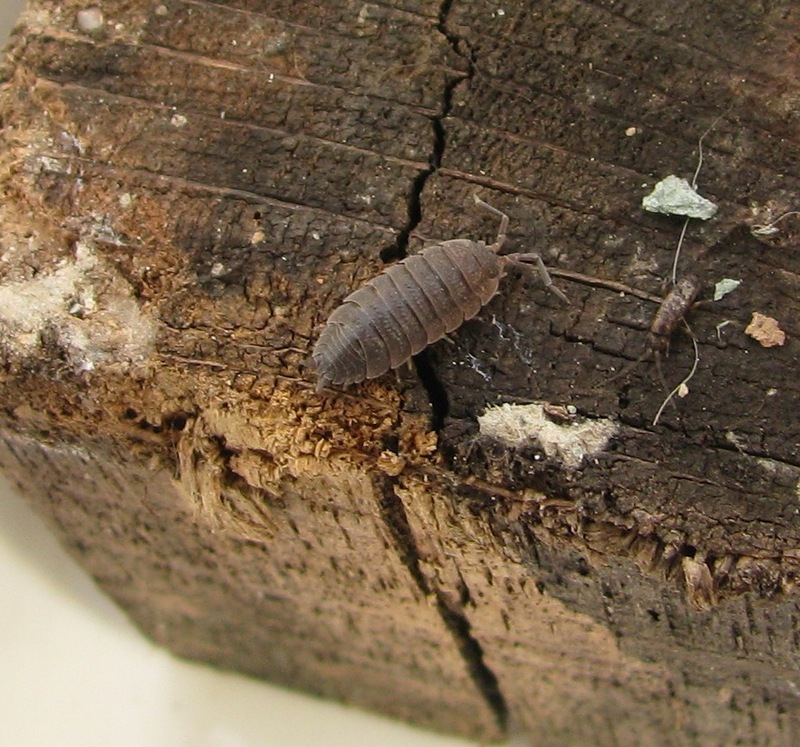 Woodlice are completely harmless (unless swallowed in quantity) – they live on rotten wood and detritus, and are some of nature’s great recyclers. Like many animals that eat a lot of cellulose (the main structural component of plants) they need bacteria to help them break this substance down. Unlike other animals, however, they don’t have these bacteria in their stomachs – anything that they eat passes straight through them. Once voided, bacteria can get to work on the waste material, making the elements and trace minerals available to the woodlouse. So, it eats its own droppings in order to access these nutrients, especially the copper that is a key component of its blood. 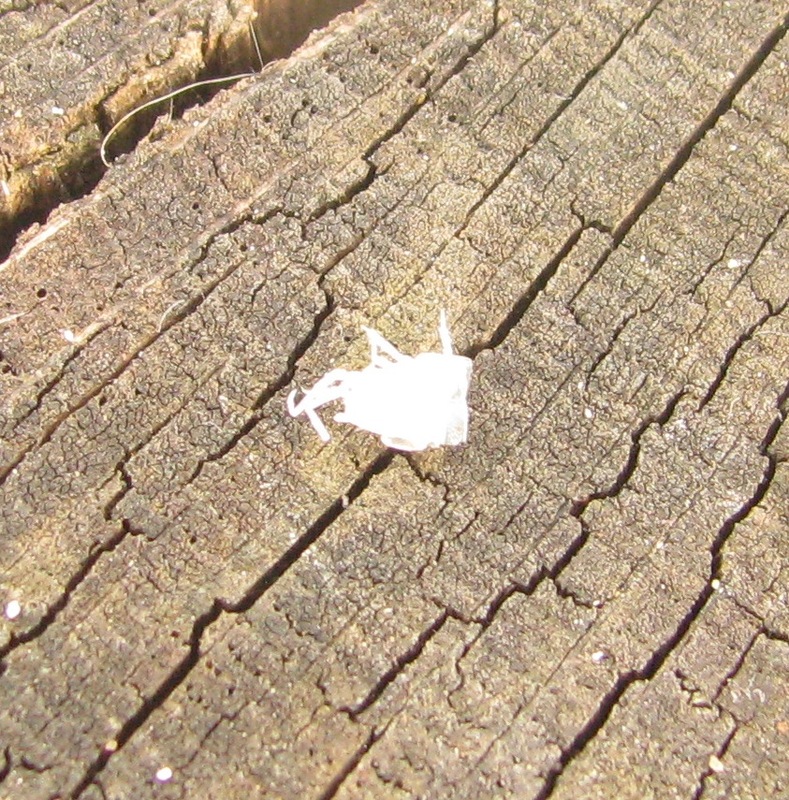 I look down at the piece of wood that I’ve turned over, but all the woodlice have disappeared. Perched on top like a Viking helmet is the discarded skin of the Pygmy Woodlouse, the last sign of the miniature drama played out here only minutes before. I put the wood back gently, to avoid crushing any of the creatures that have had their lives disturbed by my overweening curiosity. I have learned, at least, not to put them under my bed. This entry was posted in London Invertebrates on March 22, 2014 by Bug Woman. Great to have a double dip from you this spring equinox. Well, who would have known that the woodlouse was a relative of the lobster? I can always count on you to give me some new insight into the world right under my nose. I know, ain’t nature grand? Plus, woodlice have their lungs in their legs. Just one amazement after another…. A lovely article! And wonderful the follow up – of a woodlouse coming to visit you the next day. I too love woodlice. Evidently one of the country names for them was tiggy-hog. I know that sounds a bit twee, but somehow once I’d heard the name it stuck with me. The other day to my dismay I couldn’t remember the name woodouse (I am old!) but I could remember tiggy-hog. Will I be reduced in extreme old age to referring to animals only by infantile names? Libby, would you happen to be from the Lincoln area? According to my copy of the wonderful ‘Bugs Britannica’, ‘tiggy-hog’ or ‘tiddy-hog’ are used by folks from around there. I love that in Somerset one of the names for the woodlouse is ‘God’s little pig’…. Give my regards to the Gentle Author – a truly wonderful human being.